Finally the Supreme Court of India has come to the rescue of ecology and precious lives of people endangered by unauthorized construction by builders in fragile Kasauli hills. NGTs orders for demolition of illegal structures, contested by certain hotels and guest houses at Kasauli, have been upheld by the Apex Court which has once again raised hopes of the green advocates. Perhaps all that is illegal but since socially powerful groups (Political/Bureaucracy/Rich & influential/ more) support it, cannot be made legal. The law and the courts do exist to stop the wrong doings, believe the green activists. Evidently some greedy businessmen wanted to overdo their profits in Kasauli by building structures unauthorized. To accomplish the task they had made inroads not only in the fragile hills (Illegal construction) but also into the state’s soft peddling authorities. 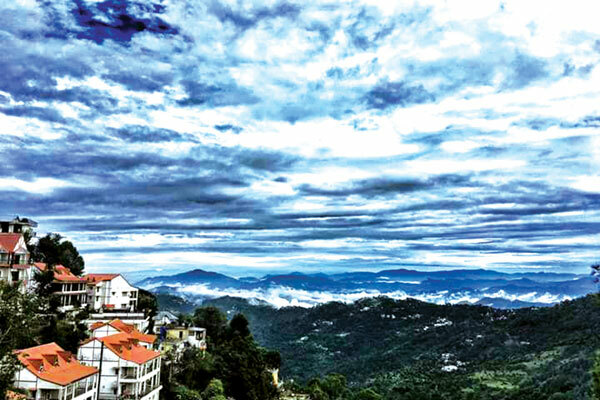 The Supreme Court in its judgment on Tuesday ordered demolition of unauthorized structures of 12 resorts in Kasauli within a period of 15 days. Upholding the orders of National Green Tribunal (NGT), the court observed that such illegal construction was not only endangering the life of city dwellers and residents but also the ecology of the area. These properties were also imposed heavy fines. The NGT, in its order, had directed demolition of temporary structures of several hotels including Birds View Resort, Hotel Pine View, Narayani Guest House, Hotel Neelgiri, Hotel Divshikha and AAA Guest House. The top court had earlier conditionally granted stay on the NGT order with respect to some of the hotels and resorts in Kasauli. The green activists hoped that “since politically elected governments would always fail to take action against such illegal property builders and the authorities ignoring it. It would soon become imperative that the honorable courts would penalize the enforcement officials with dire service consequences and fines. “Fines which they shall have to pay from their own pockets,” they added. TCP acts are flouted by such builders under the very nose of the enforcement authorities and no action is contemplated against them, they stated. “As only then accountability would improve,” they summoned. Not much far away from Kasauli (50kms) one comes across the most stringent enforcement of TCP rules by Chandigarh administration. Fortunately it is not governed by any political bosses but administrative will. Not an inch of encroachment is permissible and what to talk of unauthorized structures. Any lessons learnt? Ahoy, not by the state authorities. The landmark decision to save fragile hills , maintain ecological n environmental balance. Great stroke for political Bosses who provide shelter to activists. Lessons for all in Shimla too who turned hill queen into concrete jungle. We all must rise above the selfish gains. Regime is equally accountable not to implement the orders of NGT.